… and ROI isn’t one of them. At least that’s the contention of the latest Dweeb Media feature in the November/December issue of Backbone Magazine. I spoke to IT people from mining company Agnico Eagle, the Toronto International Film Festival, Orangeville, Ont.-based McIntyre Media, which produces educational media, and Calgary-based agriscience firm Grow Safe about how cloud computing can improve reliability and flexibility, deliver new channels and even create new businesses. Read the feature here, or the entire issue here. 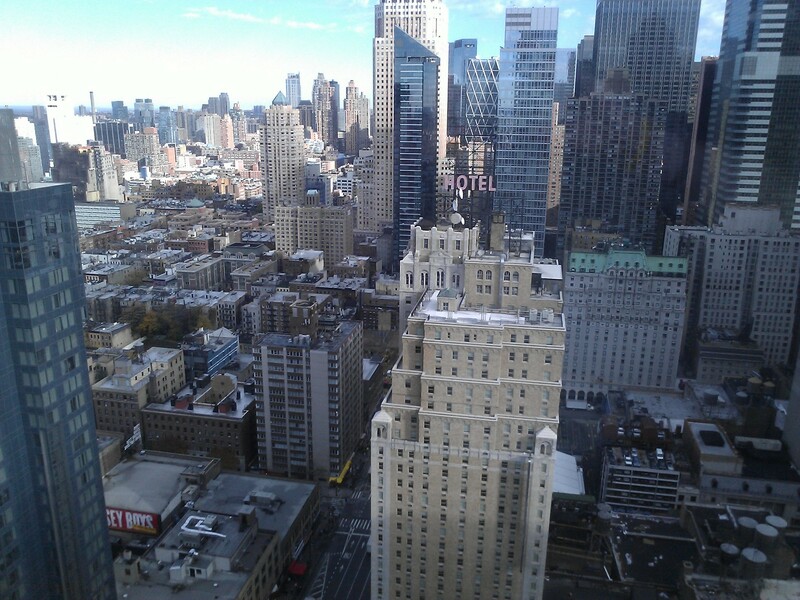 As you can tell by the awful cell phone picture from my hotel room window, I was in New York earlier this week, at Cisco Systems Inc.’s Internet of Everything event. IT World Canada has published one Dweeb Media story from the event, regarding Cisco’s EnergyWise Suite of power monitoring and management software for any Internet Protocol-connected device. For example, German bank Sparkassen-Finanzgruppe uses the software to shut down its ATMs after hours, saving $250 per machine per year in eletricity costs. You can read it here. * How an Internet-connected rail infrastructure can save billions. Contact me if you’re interested and I can give you a fuller abstract. Though I’m an indie now, I still work with my old colleagues at IT World Canada. Every year around this time, we would gather at the Canadian Online Publishing Awards and pull down scads of hardware. This year’s been no exception. Congrats to all for the win for Best Digital Edition for Computing Canada. It was more gratifying to see Howard Solomon accept the award than it was to collect one myself. 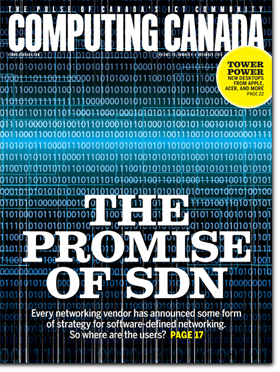 Meanwhile, the latest digital edition of Computing Canada, with a five-page Dweeb Media feature on software-defined networking on page 17, has hit the virtual news stand. Read it here. Lou would have loved this. And probably have been endlessly critical. The Toronto Audio Video Entertainment Show runs this weekend, Nov. 1-3, at the King Edward Hotel in Toronto. See the latest and greatest in home entertainment products — including Ultra HD TVs, OLED displays, Sony’s PS4 and much more — and take in seminars on the future of home entertainment, optimizing your home theatre, and more. Visit here for more information and to order tickets. The October issue of Computing Canada is on the virtual newsstand, including a Dweeb Media feature on putting analytics to work. 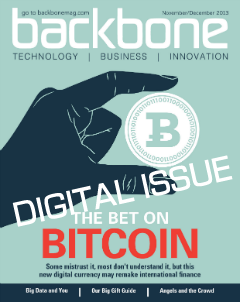 Read the digital issue here.